The style and design of a halo engagement ring is easily transformed with different metals. Rose gold offers a vintage throwback appeal, yellow gold is classic and adds warmth to the stones, and silver hued metals like platinum or white gold accentuate the brilliance of white diamonds or the hues of cool gemstones. While halo settings most often include a circle of gemstones that surround a center stone, certain setting styles also create metal halos. 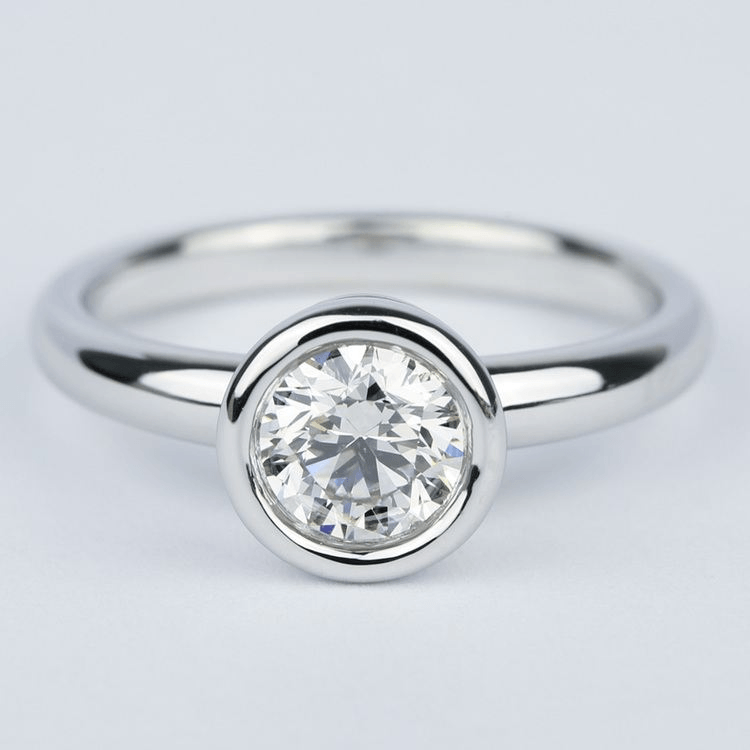 Bezel settings feature a halo of metal that protects the center stone and takes the place of traditional prongs. Bezel settings cover a stone’s edges and create a picture frame around the stone, and this setting style also is incredibly modern and looks amazing in all metal hues. Gemstone and diamond halos are found in all sizes. Some love larger carat stones to surround their centerpiece. 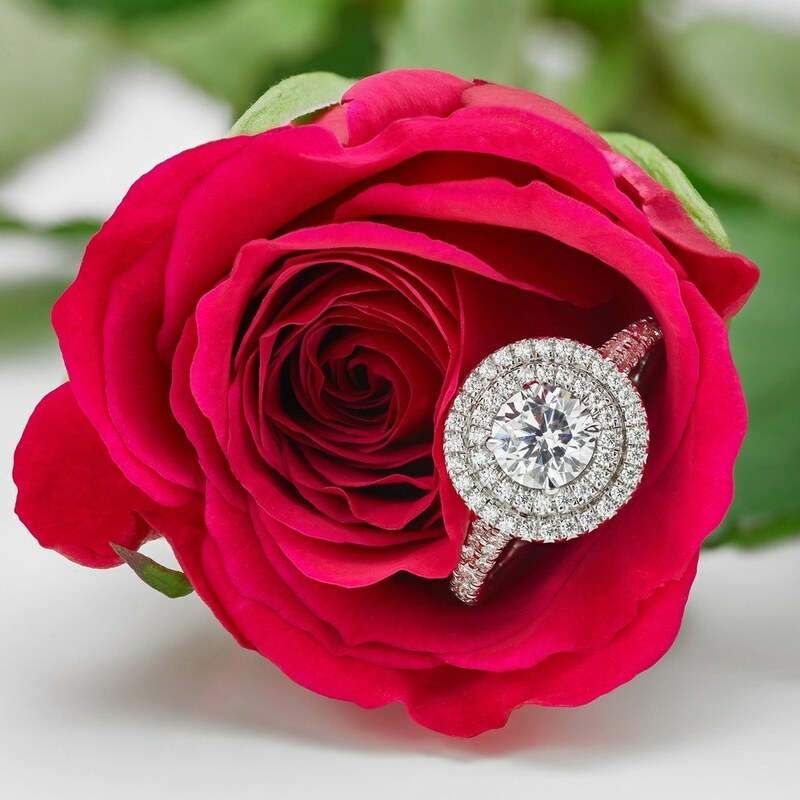 Larger diamonds used as a halo also add brilliance to the setting—especially if the center stone is a colorful gemstone. For brides who want refined elegance, tiny pave diamonds set around a center stone in a halo design offer a sparkling accent without going over the top. Using pave-set colorful gemstones, however, creates a more subdued halo. Choose velvet-hued gemstones like sapphires, rubies, or emeralds for a rich border around a diamond. While you can use a colored gemstone as a halo around another hued stone, always make sure that the colors are complementary. Look to the color wheel for inspiration—colors that are on opposite sides work best together. 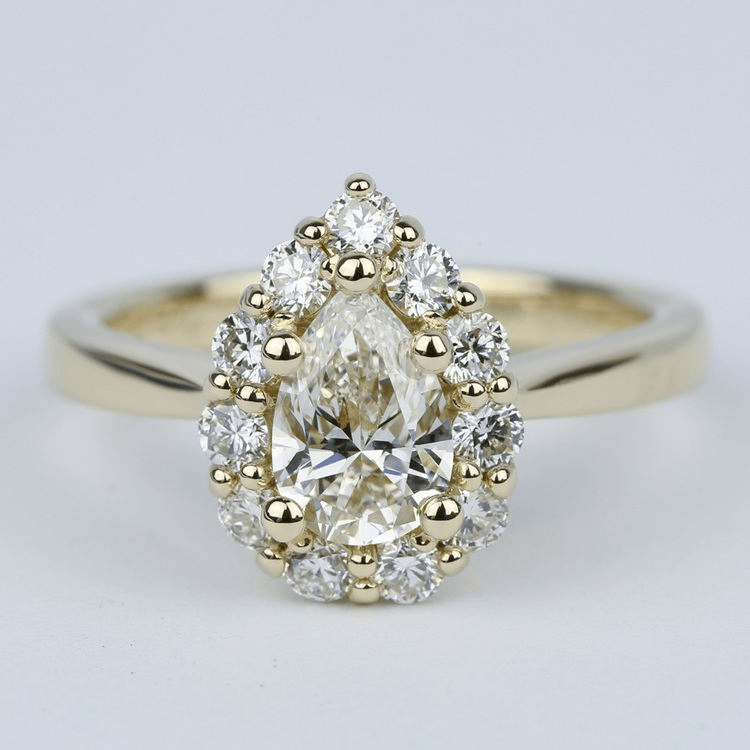 Halos can also create the illusion of a larger center stone. However, the halo and the centerpiece must be comprised of the same stone type. Use a diamond halo to create a larger center diamond or a ruby halo to add weight to a central ruby. Halos don’t need to be comprised of one type of gemstone. Use multiple types of gemstones to create a pattern halo around a center stone. You can alternate two or more colors for a halo that pops with interest. If you just want a little flush of hue for your halo, alternate a colorful gemstone with diamonds. Yes, your ring can feature more than one halo! Stacking multiple halos creates a layered effect within the ring. This style adds a dimension and really showcases the center stone. Dual halos can be of similar size, or the lower halo may feature larger stones. Both halos can be all diamonds or mix in gemstones… design this style with color or go all diamond! Any gemstone can be used for a halo, and the options are almost endless. Tiny beads of turquoise, elegant seed pearls or bold larger diamonds all can comprise a halo! You can also use black diamonds, amethyst, rubies, sapphires, emeralds, topaz, aquamarine, or citrine… or mix and match colors! Halo engagement rings are all over the Pinterest boards, and for good reason! Halo settings can create the illusion of a larger center stone and add interest and brilliance. You can design your halo engagement ring with or without color, create patterned halos or even design a ring with numerous halos. And no matter what shape of stone you select for that centerpiece, you can always incorporate an angelic halo.